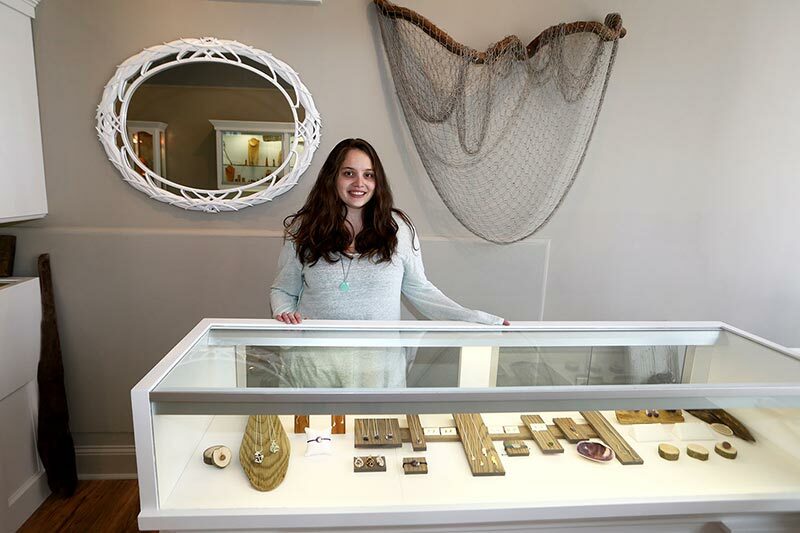 Downtown Oak Bluffs gets a new addition this week when Driftwood Jewelry opens at 42 Circuit Avenue, in the space that formerly housed B*tru clothing. 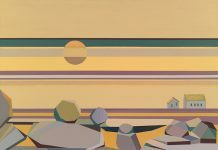 Owner Samantha Church will open the new shop on Friday, May 1, at 10 am, and will celebrate the opening with a reception on that evening from 5 to 8 pm, with light refreshments and hors d’oeuvres. The shop’s opening-weekend festivities will also feature a sea glass raffle, where visitors are asked to bring “jewelry quality” Martha’s Vineyard sea glass to have their name entered for the chance to win one of several gift certificates. Ms. Church, a local jewelry maker who worked for Claudia Jewelry for 11 years, will sell her own custom pieces as well as handcrafted artisan jewelry and accessories from other local artists, including Brenda Benware, Nettie Kent, Ivry Belle Jewelry by Ivry Russilo, Lilla Villa by Lilla Warren, wampum by Giles Welch, Free Style Wampum Work by Cera Garvin, Hannah Guerin, Clementine & Co. by Emily Spykman, and Hawk House by Jessica Helen. The store will sell 99% local, according to Ms. Church, who will also feature one case of handmade items from friends and former classmates at her alma mater, Savannah College of Art and Design. Ms. Church was inspired to open Driftwood thanks to an idea from her boyfriend when she was making jewelry this winter: “We started talking about it in November. 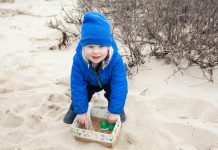 By December the lease was signed.” She selected the convenient down-Island location in an effort to bring more locally produced jewelry to Oak Bluffs. “A lot of people never make it up-Island to festivals,” Ms. Church told The Times. The name “Driftwood” was the result of a lengthy selection process, and honors the nature of the Island as well as driftwood pendants that Ms. Church produces. Driftwood Jewelry will be open 10 am to 5 pm, seven days a week, through Memorial Day, when the hours will extend. Local artists interested in selling their work in the store can call 508-693-3388 or email driftwoodjewelrymv@gmail.com. For additional information about the store, visit DriftwoodMV.com or follow Driftwood Jewelry MV on Facebook. Next articleChilmark: serve on a town committee?